Nearly 1 in 4 chronic users of opioids in Idaho last year were given unsafe combinations of prescriptions that could have led to an overdose, according to a new study. Although 44% of dangerous prescription combinations in 2017 stemmed from multiple prescribers, the majority of the unsafe regiments were written by the same prescriber, researchers said Tuesday at an American Society of Health-System Pharmacists meeting. Of the patients listed in Idaho's prescription drug-monitoring program, the study identified more than 100,000 as chronic opioid users who have taken the drugs for more than 90 days without a break of at least a week. That accounts for approximately one-third of the patients in the system. Researchers found 24,000 chronic opioid users were prescribed either a central nervous system depressant, such as barbiturates or benzodiazepines. Concurrent use of opioids and benzodiazepines has been associated with a fivefold increase in the risk of overdose during the first 90 days of treatment, according to the finding of a previous study published in June in JAMA Network Open. The dangers of co-prescribing benzodiazepines and opioids have been well-publicized for years as hospitalizations and deaths from opioid-related overdoses have continued to rise. In 2016, the U.S. Food and Drug Administration issued a safety warning for providers and patients against combining the drugs. But in an updated statement the next year, the agency switched course and told providers not to withhold opioid use disorder treatments from patients using central nervous system depressants because the harms caused by not treating opioid addiction outweighed the risks. 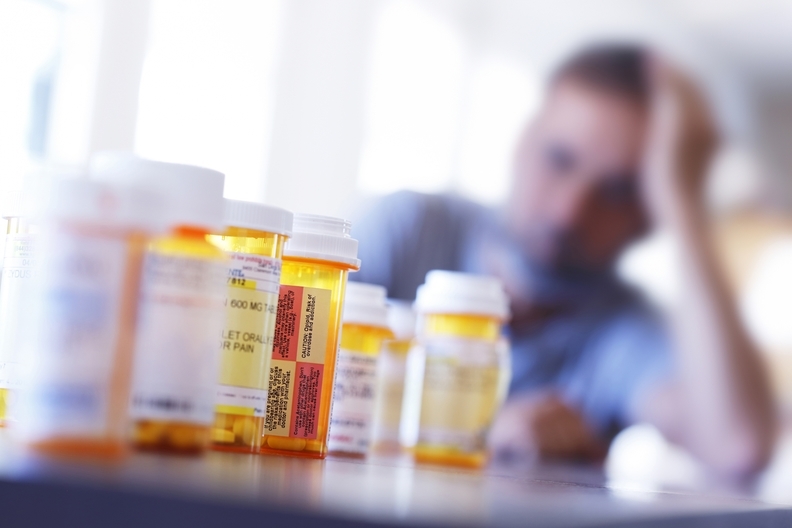 Study lead author James Berain, a student pharmacist at Idaho State University, said the findings highlighted the key role pharmacists can play in identifying patients who are prescribed both opioids and benzodiazepines or other central nervous system depressants. He said pharmacists should take it upon themselves to intervene in those cases by either facilitating communication between different prescribers or educating providers and patients about the risks. "Pharmacists are very good about checking the (prescription monitoring program) before they dispense any controlled substance prescription," Berain said. "A lot of times they are the ones who can really catch some of these things and facilitate that communication if a prescriber did not check the PMP." Idaho law requires prescribers to register with the state prescription drug-monitoring program and report any controlled substances they have prescribed within 24 hours. But Idaho prescribers don't have to review the drug-monitoring program before writing the prescriptions. Requiring such reviews has been associated with increased prescriber utilization of monitoring programs and reduced opioid prescribing, according to a 2016 report by the Pew Chartable Trusts. Catherine Oliphant, a professor of pharmacy practice at Idaho State University and faculty adviser for the study, advocated for continuing education for providers about prescribing drug combinations involving opioids. But she noted that patients need education on the risks, too. "Patients need to take control of what they're taking," Oliphant said. "We've spent so much time doing provider education that maybe that's a group that we haven't reached out to as much as we should." While the study focused on Idaho, the state isn't a hotbed for opioid overdose deaths, ranking 35th overall. Berain suspects the results found in Idaho are indicative of the situation elsewhere. "If it's happening in Idaho it's likely happening in other states," he said.